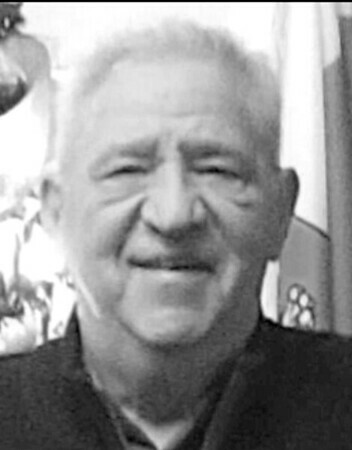 John M. Peshka, 79, of New Britain, died unexpectedly at home on Sunday, March 31, 2019. Born on Dec. 6, 1939, to the late Martin J. and Maryanna (Senk) Peshka, he was a lifelong resident of New Britain and retired from the City of New Britain Water Department, in 2001 after 30 years of employment. He was the superintendent of treatment and supply with a Class IV Treatment Plant Operators License and a Professional Engineers EIT License. John was a member of the Charter Class at St. Thomas Aquinas High School and was in the first graduating class of 1958. He earned his baccalaureate degree in chemistry from CCSU. He began studies at the Catholic University in Washington D.C., than entered the U.S. Air Force from 1961 through 1965, which included early Vietnam Conflict years. John served on both the New Britain Central Labor Council and on the New Britain/Berlin United Way Executive Board, each for 10 years. He also served on the St. Thomas Aquinas High School Parents Club and Executive Board from 1979 to 1999. John is survived by his beloved wife and life partner since 1962, Margaret E. (Koziatek) Peshka; his daughters, MaryJane DuPont and husband, Michael, Allison Ann Poulin and husband, Robert and Jennifer C. Peshka; his most loved and cherished grandchildren, Kayla and Sara DuPont, Samantha and Elizabeth Poulin, and John Gagliardi. In addition to his parents, John was predeceased by his siblings, Martin, Edward, Vincent, Richard, and Casimir Peshka, and Mary (Peshka) Siembab. John was supremely committed to his family, enjoyed traveling, golf and fun times with family and many friends acquired through the years. Relatives and friends are invited to call on Friday, April 5, 2019, from 3-7 p.m. at the Duksa Family Funeral Homes at Burritt Hill, 332 Burritt St., New Britain. A Mass of Christian Burial will be celebrated directly at Sacred Heart Church on April 6, at 11:30 a.m. In recognition of John’s dedication and service to his country, military honors will be rendered at Sacred Heart Cemetery where he will be laid to rest. Memorial donations in John’s name may be made to Sacred Heart School, 35 Orange St., New Britain, CT 06053. To share a message of sympathy with his family, visit www.duksa.net . Posted in New Britain Herald, on Tuesday, 2 April 2019 20:05. Updated: Tuesday, 2 April 2019 20:07.